Note: This is the first post in a series, for links to the rest of the series, please see the bottom of this one. Also, I now offer a 4-week teleseminar on working with this material, check my teaching site for details on the next start date. Many modern chakra teachings focus on methods for ‘opening’ or ‘clearing’ the chakras, and while this can be very useful, it really provides just a glimpse of the many ways we might work with our subtle body. Chakra systems map the intersection between body, mind, and spirit – they allow us to navigate the flow of energies between these levels of our being. These mappings provide guideposts for our subtle sense – the aspect of our intuitive mind we use to work with our chakras. These layers are not really separate from each other – each chakra is actually a spectrum, just as our entire subtle body is a spectrum. But just as it’s helpful to work with the chakras as distinct points within the spectrum of our subtle body, so it’s helpful to work with the levels of our chakras as distinct. Each chakra level provides a different point of entry into connecting with our subtle body. Energy medicine traditions typically use the first level as the point of entry, focusing on balancing, releasing, and healing at this level in conjunction with other medical treatments (alternative or conventional.) Spiritual traditions focus on activating the third, innermost layer, but recognize the shifts that have to occur on the other two levels – the psychospiritual middle level in particular – as part of growth. Therapists who work with the chakras as a model for the psyche use the second, ‘mind’ level as their point of entry. The first level is where chakra energies are linked to various body parts, organs, and glands. Foods, colors, sound vibrations – anything physical, related to our senses – most directly impacts this level. This is the level that is most often impacted by ‘opening’ or ‘clearing’ chakra techniques. These provide a kind of surface level cleaning, which lasts for a bit, and might even feel good, but doesn’t usually bring about any long term shifts in our subtle body. This kind of opening or clearing is a bit like getting a massage to deal with your stress. You will feel less stressed out after a massage, as some of the impacts of the stress that have been stored within your body have been released. But if you don’t address the underlying issues causing your stress – and your reaction to it – the effect of the massage won’t last long. It’s the same with chakra work – yes, you can use techniques to temporarily balance or open one or more chakras, and it will feel good. But the real work is more long term – shifting deeper patterns stored within your subtle body – emotional patterns, and psychological work. Working with the first outer level of the chakras can be a very powerful part of this kind of deeper shifting, but working solely at this level has limited benefit. Which brings us to the second level – the psychological, or psychospiritual, linked to mind. There are in fact many psychological models of the chakras, initially fueled by psychologist Carl Jung, who considered them a symbolic map for working with the psyche. He, and later psychologists interested in the chakras, didn’t actually work with the chakras as energy fields, or as access points for subtle vibrations. Instead they mapped emotions and personal growth phases to the chakras. Chakra trauma healing work is a great example of how the first and second levels of the chakras are linked, and how someone might begin working at either level and migrate into working with the other. A sexual trauma survivor might have patterns of disassociating from her body, especially her lower body and lower chakra energies. She might first begin to reconnect with her body through a physical activity such as yoga or dance, which activate the lower chakra energies at the first, physical level. This work will often enable a connection with the lower chakra energies that then opens up the possibility of facing emotional blocks on the psychological level. Or the opposite might occur – someone might be more comfortable with traditional talk therapy, working at understanding her emotional blocks mentally first. As she gets more comfortable with the psychological aspects related to her lower chakras, a more grounded connection to her body arises, enabling physical work. This middle, second level of the chakras can be thought of as a storage level, where our emotional and mental patterns generated by our past experiences and conditioning are written. Whether you view these patterns as only from this life or as energies coming in from past lives doesn’t really matter. The point is that they are obstructions – they are limiting your true expression of the energy represented by that chakra. Of course there are also gifts associated with each chakra – ways in which we each uniquely bring through the highest expression of each chakra’s energy, and our work might also focus on empowering those, but usually this involves releasing blocks first. Which brings us to the third level of the chakras, the spiritual or Source level. At this level, the innermost jewel of each chakra is a direct expression of Source. One of my favorite metaphors for our subtle body is that of a prism, with white light streaming in the back and refracted out the front as each of the rainbow colors. At the innermost level of each chakra is a doorway directly to Source. In its purest expression, each chakra is a refraction of this light as a unique worldly aspect. In the case of our heart chakra this is pure love, in the case of our navel chakra it is pure power, etc. These are not emotions in the usual, human sense – they are vibrational fields, pure expressions of the highest universal energies. Seen this way, the emotional patterns and mental conditioning we hold at the second level of our chakras limit our ability to access our full expression of Source. They are like dirt on our prism, blocking the light’s refraction outwards. When we have cleared these – really cleared them, not simply temporarily ‘cleaned’ them by working at only the first level of our chakras – we become a pure conduit for the light of Source. 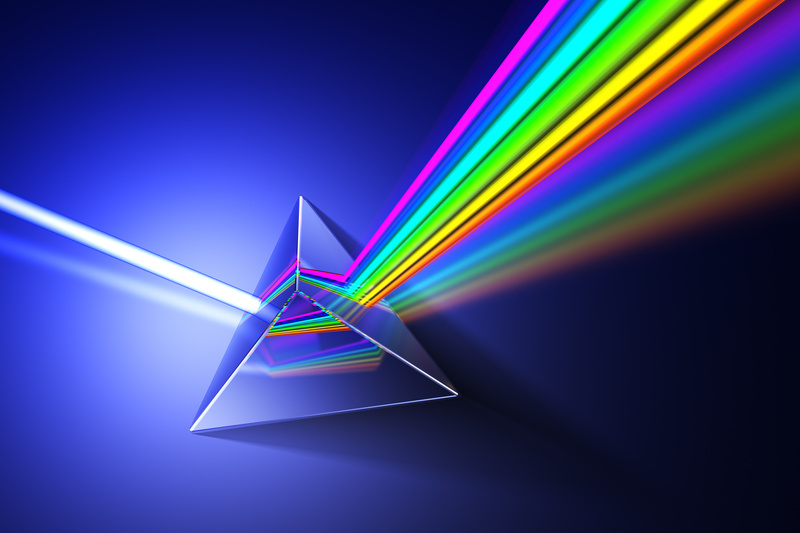 We are a pure prism, best able to express our unique refraction of light, at all three levels of our being – body, mind, and spirit. Kundalini activations and meditation seek to activate this third, innermost level of our chakras directly. 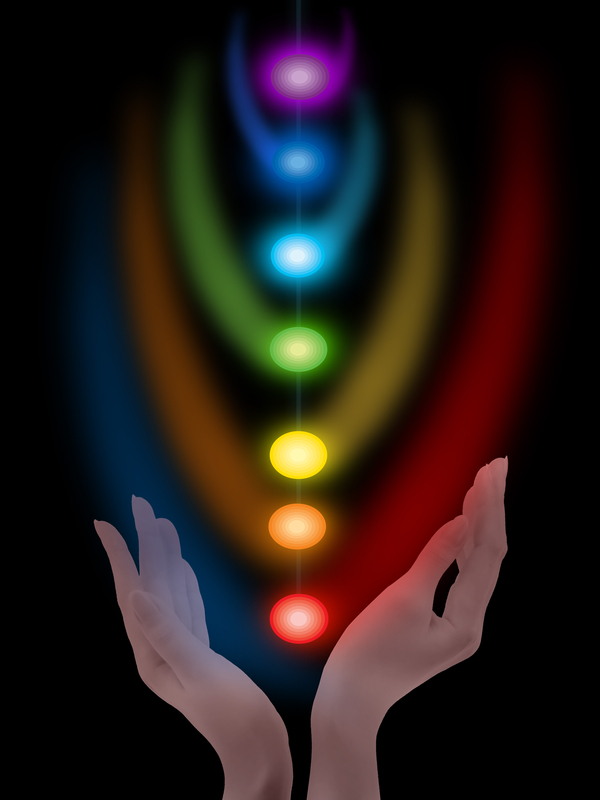 When the kundalini is activated, it pulls Source light through directly from this level within each chakra. This is very powerful, because the kundalini is like a river of light that pushes through any blocks present at the other two levels, forcing them to the surface of our consciousness to be dealt with immediately. Sometimes these manifest as inner challenges (including health or psychological issues, i.e. issues at the other two levels of the chakras) or sometimes as external situations. Either way, the call of the kundalini is urgent – grow or else! When it comes to blocks, we can work from either the second or third levels. Working at the second level is a little like untying a complex knot. We painstakingly untie one thread after another of our emotional blocks, through insight and personal development, until eventually the knot is released, and the light can shine through. Working at the third level is more like cutting through the knot with a knife. The kundalini pushes through the block from the inside, often providing us with an amazing and inspiring glimpse of what a pure expression of that chakra might be, but then we usually have some ‘cleaning up’ to do afterwards, in the form of the remnants remaining from the knot’s sudden destruction. For most of us, a mixture of working at each level of the chakras is the most helpful, although we may have a propensity for one level or the other. It’s important to remember these levels aren’t actually separate, we are just using this map to help us navigate through our subtle body. A map is never the actual place. In the future posts of this series I’ll focus on each level one at a time, with more details about how to approach chakra work at that level. So interesting Lisa, and it makes a lot of sense. Looking forward to reading more. My word…so eloquently and clearly explained! Glad you found it helpful asubmissive. Laurenfire and corestarme – thanks for your feedback glad you liked this post! I’m looking forward to learning more about this. I have read about other models of chakra levels and parts including in Cyndi Dales books- she talks about the front and back, left and right, and inner and outer parts, and the inner and outer can spin in different directions in some cases. Will you talk about that? Thank you for a wonderful post! I haven’t thought of chakras in terms of levels. Your description is clear, and aligns with my experiences and understandings. I’m looking forward to your next articles! Hi Anonymous, I am a big fan of Cyndi’s work and draw upon it a lot (I took 2 full year courses with her, and frequently utilize and recommend her books.) I am using a little different model here, and I don’t work much with chakra spinning, mostly because it just isn’t a big intuitive reference point for me, although I do sense it. I think it is partly that my own initial work with the chakras was as part of a kundalini meditation practice, so my connection to the chakras was initially at what I’m here calling the third, inner level. Over time as I’ve worked more with women’s energetics and trauma healing I have worked more and more at the other two levels, but my own ‘sweet spot’ is still the 2nd and 3rd levels, and in particular where these two interact. I think the outer and inner spinning motion of the chakras is most relevant to the first, physical level (in the case of the outer for sure.) So I don’t think I will necessarily get into that in this series, but I do think all of this is relevant – all these models are just different maps and all can be helpful when we are navigating the complexity of our subtle bodies beyond the physical. It is just like the difference between a geological map vs. a road map of a certain area – which will be the most useful to you depends on what you are trying to accomplish. Thanks Lisa! Very interesting. Worth reading many times over! Was your course on “feminine power” touching the second level? Also, are energy workers like myself allowed to use your work? Your courses about chakras were great and I have been using the info I learned to support my clients Would you say this is ok or should I take a deeper course (if it makes any sense…)! Thanks Cate and Robin, glad you found it interesting. Hi Antonia, the DailyOm feminine power course touches on all three levels, but yes it is really focused on the 2nd level. Really most energy techniques work on more than one level, but the focus is on one level. Since that course works a lot with surfacing and releasing or transmuting emotional issues and conditioning, much of it is second level focused. However, the last couple of classes, focused on the sacral chakra as a doorway to Source, is more 3rd level, and the work with colors and physical sensations touches on the first level. Absolutely feel free to adapt exercises from the course with your own clients, it is all about helping and empowering people, so I am glad when it spreads:-) Of course attribution when you are using it as is is always appreciated:-) And some things don’t work well on their own – I have them in a specific order for a reason – but you will no doubt feel out on your own how to integrate them effectively with your own work. This is amazing Lisa! Think I’m going to re-read this one, so I can really absorb what you say here. It’s great to read something so specific and detailed on the chakras, and that addresses the complexity. There are things you’ve said here that suddenly “clicked” with me, and it makes a lot of sense too. Particularly in regards to working out blocks, and working on different levels to clean stuff up, and clear debris. Lisa writes clearly and simply on the subject of chakras. I share her view of chakras being ‘maps’ we use to access our conscious transformation. Rational and enjoyable reading. Lisa – I am in awe of your generosity and your willingness to share in a world of spiritual teachers who cling so tightly to ‘their way’ and are unwilling to allow the natural evolution of their own base work that others will build upon. I am following your example and allow anyone to use my work and appreciate the attribution if given. Imagine where we would be if art, technology and mathematics had not been shared freely? Bless you and bliss to you. Hi Lisa, Thank you for this great information on chakra levels. I think there are many chakras in our body and Throat Chakra is the most powerful one. Throat Chakra and Energy Healing are becoming popular in recent days. Recent trends reveal more people are switching towards Energy Healing with new specific researches are been done.